Gray Whales can live to be over 65 years old. Each year they migrate from their summer feeding grounds in Alaska, to their winter mating and breeding grounds in Baja California - roughly six-thousand nautical miles round trip. Over the course of their lives they swim an equivalent distance from earth to the moon and back. How long can you hold your breath? While you are timing yourself, ponder this... Bottlenose Dolphins can hold their breath for about 10 minutes; Fin Whales, over 20 minutes; Sperm Whales, up to 90 minutes; and Elephant Seals can stay underwater for two hours without taking a breath. 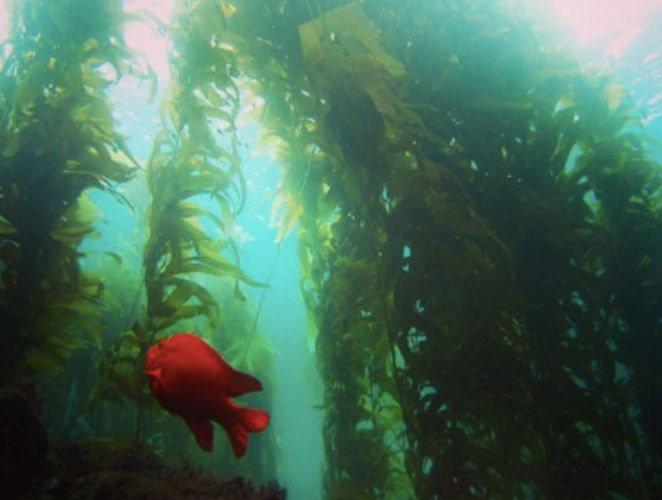 Did you know that Giant Sea Kelp (Macrocystis pyrifera) is one of the fastest growing organisms on the planet? It can grow up to 2ft (60cm) per day and up to 150ft long! Sea turtles have been around since dinosaurs walked the earth! They live in almost every ocean basin across the world, sometimes migrating up to thousands of miles just to feed. Specifically loggerhead sea turtles nest in Japan, and then travel all the way to Baja California Sur, Mexico just to feed. Each year, roughly 6,000 tons of chemically based sunscreen ends up in coral reefs around the world. Most of these products contain Oxybenzone, a chemical that strips the nutrients from coral reefs and bleaches them white. All of Solid's products are mineral based and #reefsafe, so you can feel confident about what you're putting onto your skin while reducing your carbon footprint. Orcas (also known as killer whales) often live in social groups called transient pods which can often have 1 to 7 members. These groups tend to be more aggressive and travel in more wolf like packs working together to hunt larger mammals. Whose is your pod? Sharks have been around for over hundreds of millions of years. While many of us may be familiar with a few shark species, there are over 400 of them, from the 8-inch-long dwarf lanternshark to the 40-foot-long whale shark. Think you like to spend a lot of time on the water? Well, did you know that true sea birds like the Black-Footed Albatross spend the majority of their entire life at sea? In fact, they mostly only come to shore to mate and nest. Their wings are adapted for long distance flight and they can travel up to 1,000 miles for a single meal. If you have seen one, chances are you aren’t afraid to leave the coast behind.